U.S. consumers should see no major surprises in overall food prices in 2016. According to USDA officials, food price trends at grocery stores should follow the pattern of the past 20 years with an average price increase of 3 percent or less. This prediction is based upon normal weather and production conditions. Since 1995 the retail cost of food items in this country has increased by an average of 2.6 percent annually. Certain foods will be more expensive. Egg prices are expected to spike more than 16.8 percent because of the avian influenza outbreak in the Midwest and some western states. Citrus greening has reduced Florida’s crop of oranges and grapefruit, boosting their prices. Despite routine increases in food prices, the portion of the food dollar received by farm families continues to decline. In the mid-1970s agricultural producers received approximately 33 cents of every dollar paid for food. They now earn less than 16 cents. 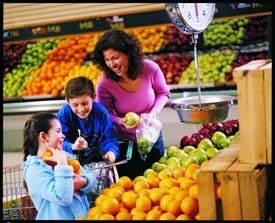 For more information, visit http://www.ers.usda.gov/data-products/food-price-outlook/summary-findings.aspx.